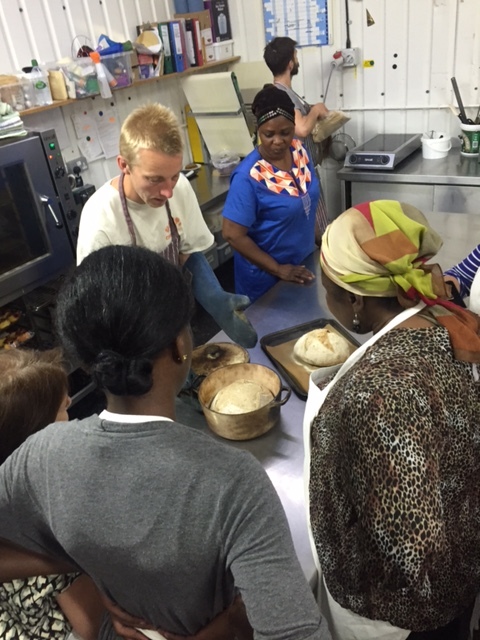 At week two we had bread baking class where we made 4 types of bread. 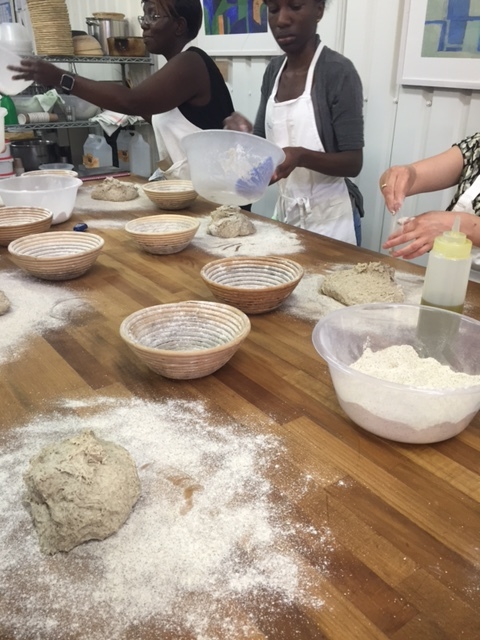 We started with weighing and mixing the ingredients for the rye bread followed by mixing the cibata, bagels and the Hackney wild.After the mixing there was folding each type of bread in every 20 minutes and during this time we had lunch and chat about our backgrounds and the different languages we speak. We ended up with bowls of different kind of breads resting under the table. 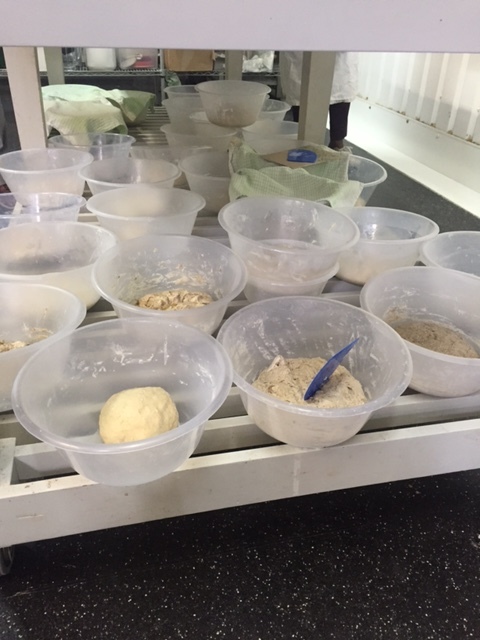 By half of the day we started to shape and bake the bread. 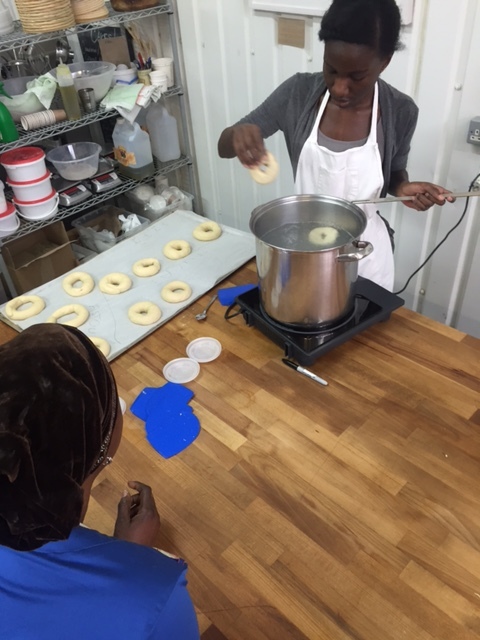 The bagels were more fun as the required boiling and adding some extras on top. 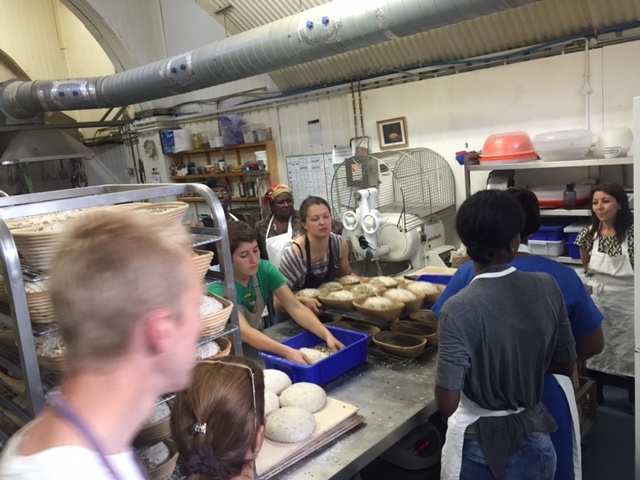 After putting the bread in the oven Ben took us on a tour around the bakery and showed us where all the magic happens and some of the women got involved shaping some of the bread with the bakers. 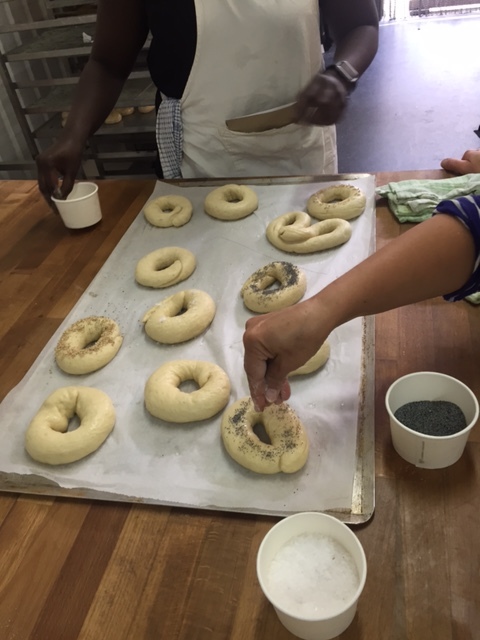 We got few tips on baking our own bread using normal oven at home. 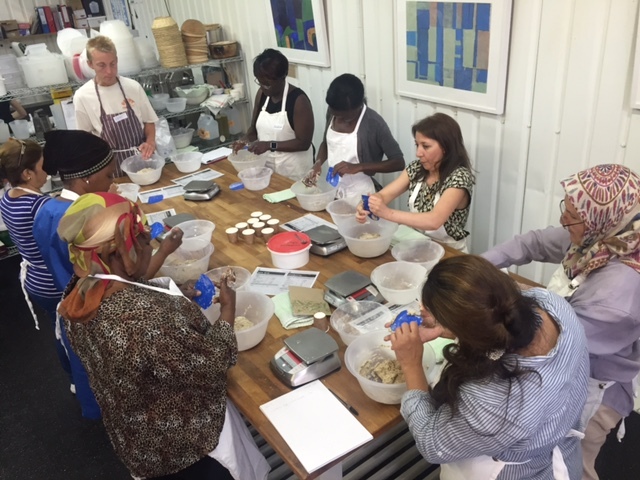 By the end of the day everyone was happy with the good result of the hard work. We ended up having fabulous fresh bread home.